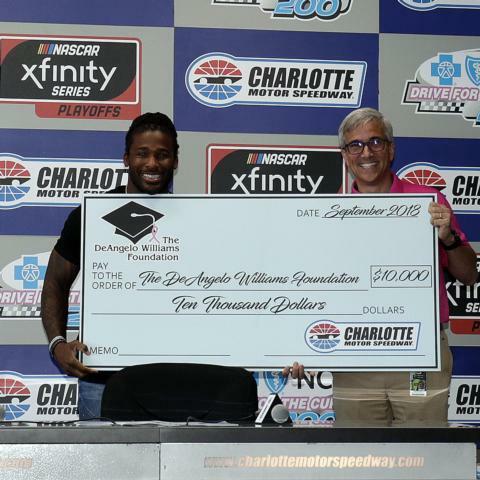 Legendary Carolina Panthers running back DeAngelo Williams met with the media before pacing the field as Honorary Pace Car Driver for the Drive for the Cure 200 Presented by Blue Cross Blue Shield of North Carolina NASCAR Xfinity Series race. Williams talked about his experience and his DeAngelo Williams Foundation - which aids people who are fighting breast cancer. 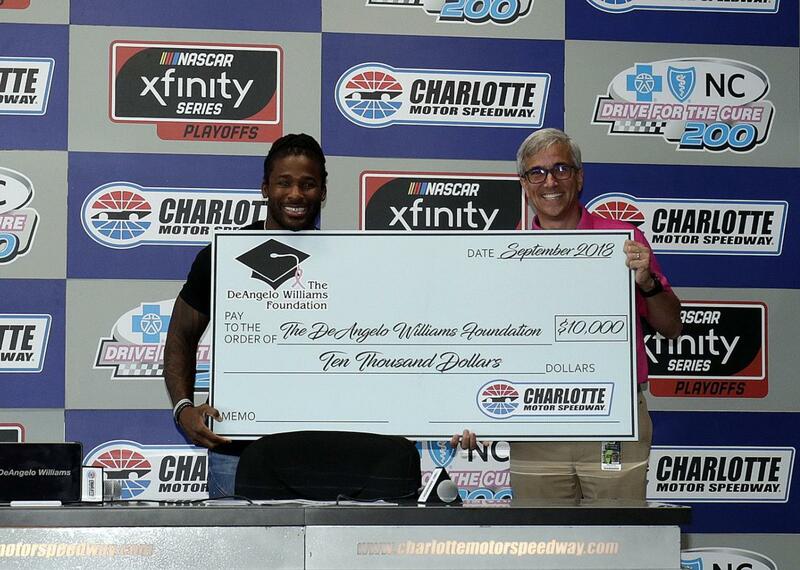 Williams - who lost his mother and four aunts to breast cancer - was presented a check for $10,000 for his foundation from Charlotte Motor Speedway Executive Vice President Greg Walter. Williams held court in the deadline room, cracking jokes as he discussed his experiences when becoming certified to be a pace car driver. "I just like having fun because life is tough," Williams said. "I'm not a PC guy. I tell you how it is and I guess that's why I go over well with people. I can crack jokes but at the same time, there is no way I can do what these drivers do. I know I will never do that but here is the caveat: The things I do (playing football), I know they will try. So that gives me room to talk." Williams also talked about his DeAngelo Williams Foundation, which he started in 2006. "We do 53 mammograms, because my mom was 53 when she passed," Williams explained. "We have given 53 in Charlotte, Pittsburgh and in Memphis multiple times. We found patients that have had it. We go in and fund those. If we find someone with breast cancer, we go in from the time they have to the time they are breast cancer-free. Not a dollar comes out of their pockets." Williams spent nine years as a Carolina Panther and two years with the Pittsburgh Steelers. 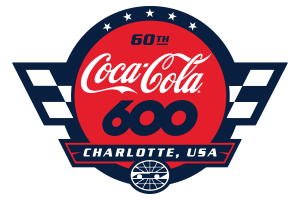 Veteran motorsports journalist Mike Hembree hosted a "baby shower" for colleague Jeff Gluck on Saturday, with Charlotte Motor Speedway providing pink cupcakes and Rocky ROVALTM ice cream to help celebrate. Gluck's wife Sarah is due next month. "The baby's going to be born at the Texas Motor Speedway Tweet-up, and Eddie Gossage is going to be the attending physician," Hembree said jokingly. "The baby's going to weigh six pounds but Eddie's going to say it weighs nine pounds. I understand that about a month after the baby arrives, Jeff will be tweeting out a poll: Is the baby a good baby?"